///Handbag_Summer //// Colored, sunny, happy... a happy summer day The outer layer resembles a canvas that is a stiffer material, and the inner layer is a waterproof and stain-resistant nylon overlay. 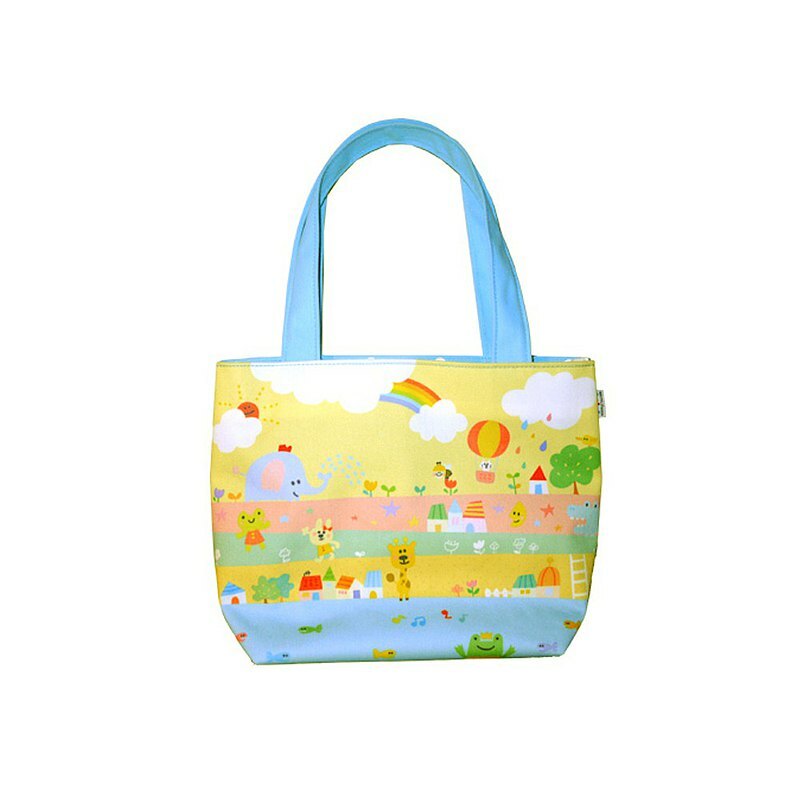 Simple and practical Can be used as a bag, a carry-out bag, a travel bag ★Product specifications Size / 25x19cm bottom 12x18cm Material / nylon, cloth ★Other styles https://www.pinkoi.com/product/1WjRmBSr?category=1 (Handbag_Flower Season) https://www.pinkoi.com/product/1LfqDrQ3?category=1 (Handbag_summer) https://www.pinkoi.com/product/1u2RhUBV?category=1 (Carry bag _ flower season) https://www.pinkoi.com/product/14Hy1yEM?category=1 (Carry bag _ summer) https://www.pinkoi.com/product/rYzFTyW7 (1+1 offer combination) ★ What is P714? P=planet, July 14 is the birth day of the planet. There is a beautiful planet, she is like all the good things in your childhood memories; Imagine flying in the sky with a balloon. Imagine sleeping on the cloud looking for a rainbow, Imagine all the touches of being re-discovered on a beautiful planet; That is a kind of happiness! On the planet P714, I hope that you can also find your own little happiness! _______________________________ | Before you buy | The item will be sent to you within 3 days after the remittance is confirmed (except for the order) In case of holidays, it will be postponed. The post office will send about 1-2 days, the supermarket will pick up the goods for about 2 - 3 days, and the express delivery will be sent the next day. If there is a need for urgent processing, please first contact the information to confirm the status of the goods. Please choose express delivery method. If you have any questions, please use the Pinkoi website letter to contact us!